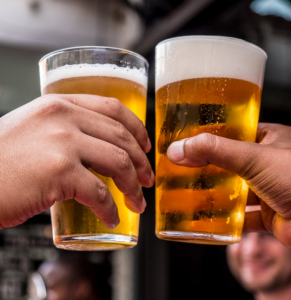 With the health craze spreading into the pub & bar sectors, massively boosting the demand of low-calorie spirits like gin and tequila, it’s understandable that the sales growth of beer would suffer, given its much higher calorie content. 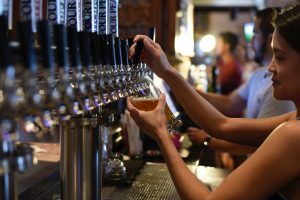 Especially with gin being the “in” drink due to its increasing range of flavours and cocktail capabilities, it is almost inevitable that beer has naturally seen a decrease in popularity. However, a factor that can work against spirits in favour of beer is pricing. Being of a much higher alcohol content, a single gin & tonic, for example, is much more expensive than your typical pint of ale. Looking to save money whilst still filling their social drinks quota, the cash-conscious consumer will always be prone to taking up offers and promotions for beers at a lower price. Introducing Happy Hour-type offers or temporary price reductions, will likely result in a boost in beer sales thanks to customers on a budget. Like with spirits, consumers are keen on trying beers with new variations and flavours that offer a different tasting experience. Craft beer sellers have been booming in the industry due to customers wanting to sample new IPA’s, ales and beers from niche brewers that are both national and from around the world. Not all consumers in the drinks market are fond of spirits but still want to try something new. Bringing beer-lovers a tasting experience they’ve never had before is an ideal way to bring in additional sales. Due to the rise in health-conscious consumers, coupled with the designated driver market, the demand for non-alcoholic and low-alcohol options has increased. As such, non-alcoholic beer production now counts for 2% of total beer production in Europe, rising to nearly £800 million in sales in 2017. This category in the drinks market is clearly on the rise, increasing its market share further each year. At Alliance, we believe this increase in sales can be attributed to the rise in consumers wanting to reduce their alcoholic intake whilst still enjoying the taste beer offers. In addition, the market is also fuelled by individuals not partaking in alcohol at all, either due to health or driving responsibilities, but wanting an option other than soft drink. 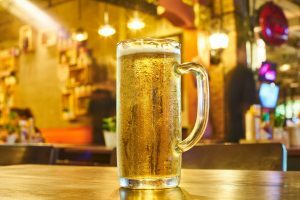 Furthermore, beers are notorious for leaving patrons of the beverage with a bloated feeling and with the current health craze sweeping the nation, it makes sense that consumers are wanting to distance themselves from this when enjoying a drink. 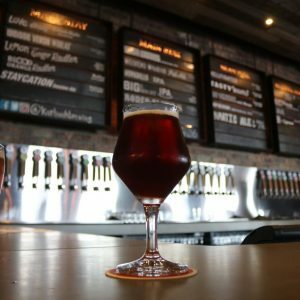 With many beer brands expanding their portfolios to providing low-alcohol and non-alcoholic options, this rising market cannot be ignored when it comes to an operator selecting its beer offerings. For the latest trending barware and glassware that will surely enhance your beverage offerings, we sure to visit our store at Alliance Online.